Senior States have been completed again for another year, with it being held over three days. Day 1 at Port Noarlunga saw board rescue, belt swims, 2km and iron person and swim team heats for youth competitors. Days two and three were run at Moana the following weekend and saw the completion of the remainder of the events in perfect weather conditions and a small swell. This year we had a small team that focused on quality over quantity. All our competitors either cleaned up with their results or made huge improvements over the season. Naish, Cooper, Chloe and Clarice all made huge improvements and should be knocking on the door of some good results if they keep their consistent training up. Naish moves up to U17s next year and will have the opportunity to help the older seniors in teams next season as well. As usual, Teagan Richards and Ella Andrews dominated their events, with Teagan winning the U15 board race and iron, pairing up with Ella to win the youth girls board rescue, getting silver in the 2km run, and Cameron relay with Ella, Clarice and Chloe, and she also picked up bronze in the swim and board relay with Ella and Clarice in a close race, with less than 5m separating 1st-3rd. Along with the team events, Ella also picked up silver in the Swim and bronze in the iron and 2km run. Naish, Clarice and Chloe finished mid race for all their races, often running over the top of other competitors in the second half of races, showing that their training throughout the season paid off. In the older years, Cooper missed out on the U17 and Open board finals by one position. An average start in the U17 board semi left him with too much work to do and couldn’t run enough competitors down. However, he only just missed the open board final, which was impressive for a first year U17. He also finished mid field in his iron and swims, with strong performances in each event. Nic made the open board final, but turned the buoys about 7 competitors wide, leaving him not in the best position to run over the top of a very strong field. He also finished 8th in the iron, which is impressive considering he hasn’t had the opportunity to swim consistently due to other training commitments. Nic and Sean paired up in the double ski and managed a 6th in a very competitive and large field of 19 double skis. The two of them teamed up with Cooper to finish 7th in the open board relay. In the next couple of weeks, Teagan, Ella and Nic will be heading up to the Australian titles on the Gold Coast, we wish them all the best and will be following closely at home. Finally, I would like to thank all our officials that helped out over the season, especially Raelene who has shouldered almost all of our senior officiating duties this season, and we were helped out at state titles by Steve Harris. We wouldn’t be able to be on the beach without our officials and the work they do. Thankyou to Jane Short for taking these amazing photos. It is really appreciated. Thankyou to the parents for bringing the kids to training and carnivals, as well as helping out towing the trailers, and organising the beach while I’m in different areas. A big thankyou to Nic Schulz who has been a big help at trainings this season. There have been many occasions where I haven’t been able to make it to training due to work commitments, but Nic has kept trainings moving forward. Please note that these schedules are subject to change. As usual carnival schedules for both days will be available for all on on Saturday Morning. We are seeking members for our Fundraising Committee. A meeting will be held at the Club Tuesday 26th March from 7pm. If you would like to be a part of the planning of future fundraising events or have some great ideas that will support the Club moving forward please come along and have your say. For more information prior to the meeting call Raelene on 0415299952 or Andrew on 0403533522. 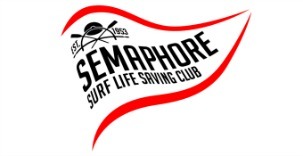 Do you have any special photos that reflect the history of the Semaphore SLSC? As part of plans to reintroduce Memorabilia into the new Club facilities we are seeking your input. If you have an image that celebrates our Club’s history and are willing to share it, please place it in the box at the Club Bar. If you would like to be in this year’s AFL Footy Tipping Competition, email Andrew Spencer: aspencer@bigbutton.com.au OR Text 0403 533 522. Coinciding with our nippers break-up/presentation day on 13th April, and with the support of her Surf Life Saving Friends/Family, Eliza Zampatti will shave her head in support of the Leukaemia Foundations ‘The Greatest Shave’. To support Eliza you can donate at ‘The Greatest Shave’ website using the link to Eliza’s page below or place a donation in the collection bucket on the bar. Any last minute alterations to this schedule will be communicated via Surfguard SMS. Please ensure that your mobile number is correct on you child’s members portal account. Join us in congratulating all our 2019 individual event champions. More importantly lets congratulate all our Nippers that competed in our Club Champs irrespective of split schedules time changes, and weather. Join us too in a shout out to U13 Lil Zampatti who, in an unfortunate accident fractured her wrist in pursuing the Club Champion crown in Flags. Lil, along with her family, has been with SSLSC since Sandcrabs. All our U13’s are a tight friendship unit and her injury shocked the entire team. As such the Flags Club Champion medals, both Male and Female, were given to Lil, testament to the camaraderie and friendship that exists within this very special group of Nippers. And whilst they will be moving in to the senior competition ranks we hope that we will see some of them return to Nippers in 2019/20 junior assistant roles. We send Lil all our love and wish her a speedy recovery. I’m positive we will see her on the beach, with her friends, irrespective of injury. Make sure you have a sharpie on hand to sign her cast!!!! Below are the proposed events for Day 2 and 3 of Junior State Champs nominations will be required on 16th March 2019. March Past will be the first event on Day 2 of States, it is scheduled for an 8am start. With the All Age Junior Taplin the last event on this day. Day 3 will open with the announcement of Club Nippers of the year followed by the All Age Relays. Detailed schedules will be released the week before the carnival. We’ll all be worn out after a massive two days on the beach with State Champs. Not looking forward to cooking dinner? Clean up and come to the Club. Simple meals at a member discount will be available at the Club from 5:30pm with a short wrap up of how our two days went on the beach for each of the Age Groups. Just a quick reminder that Proposed Layout plans for Memorabilia are now on display at the Club. This is an important feature of the Club and feedback is most welcome. Email raelene.donnell@gmail.com, call her on 0415 299952 or catch her at the Club. Click on the images below to review the proposed plans. The Board of Management is pleased to announce that James Bowden has been appointed as the Club Bar/Bistro Supervisor. James starts this week, so please join us in welcoming him to our Club. James will be responsible for overseeing the Bar, Bistro & Function operations of the Club. James comes to us with a wealth of experience in this type of role & we are confident that he will make a very positive impact to the commercial operations of the Club. On Saturday night we are holding a Wedding Reception for approx. 50 people. The function will be in a ‘Cocktail Party’ style, so normal Saturday afternoon Bar service will apply upstairs. We will simply need to do a quick vacuum & clean up around 5.30 to 6.00pm. Apologies in advance for any inconvenience that this may cause as we make a bit of noise around you! !